There are many production facilities and manufacturing operations that still depend on welding metal tubing. 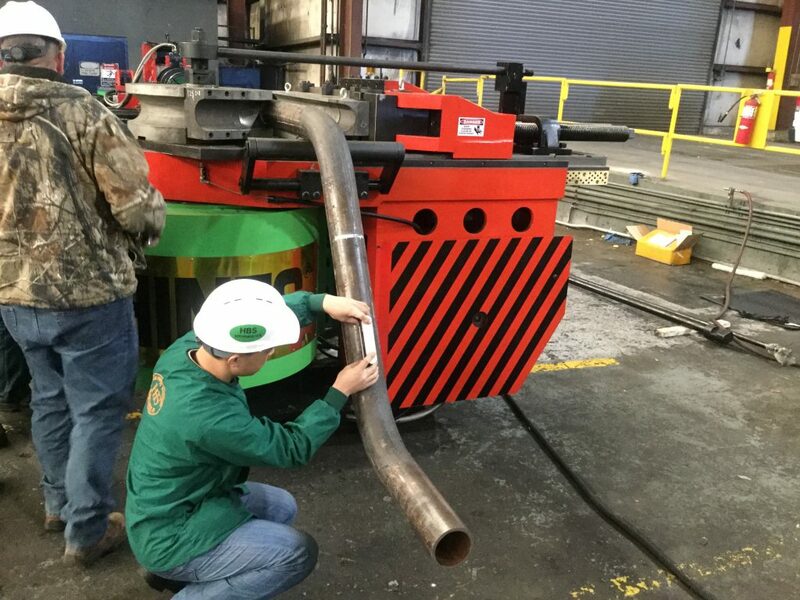 The process of welding is a necessary, albeit outdated component still commonly found in the pipe and tube industry. 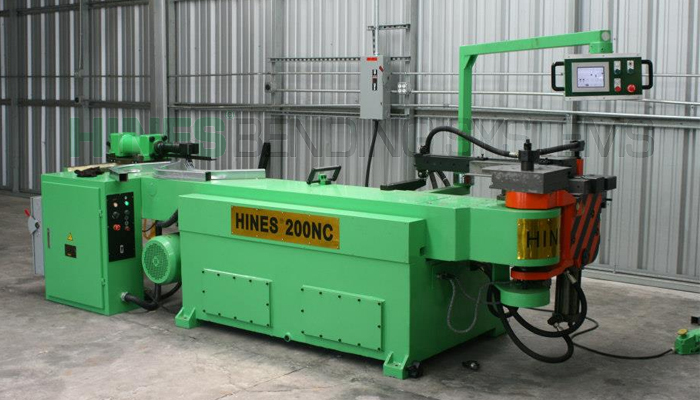 This article will investigate the advantages of investing in a tube bending machine for sale as an alternative to welding. 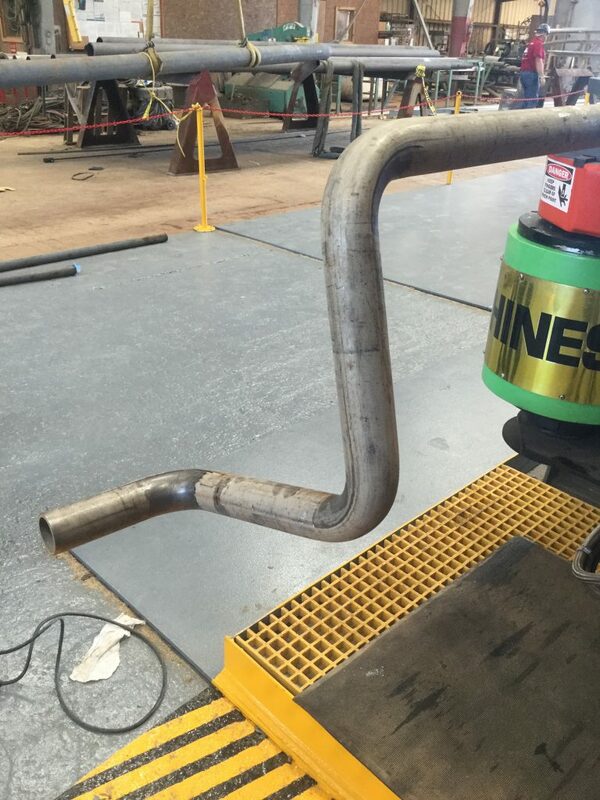 The obvious disadvantage to welding over tube bending is the high costs for quality assurance. Welding metal tubes as a procedure requires consistent control checks, which can quickly become expensive. 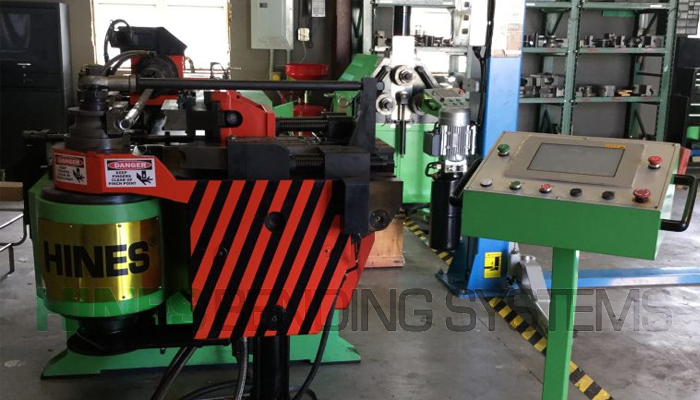 By contrast, purchasing the right metal tube bending machine for sale eliminates dependence on welding while giving shops full control over their production output. 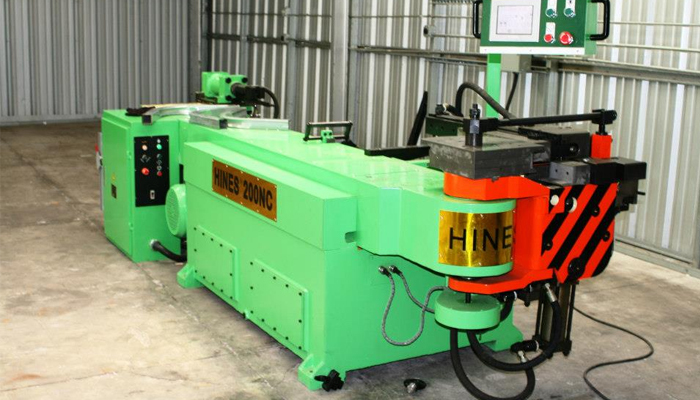 Prior to the introduction of tube bending, welding was one of the only options available to parts processing. Then as the ’50s came to an end, the introduction of bending machine manufacturers finally provided them a more cost-saving and efficient alternative. Over the next half a century, there was still little change in the industry because people simply didn’t know a better option existed. 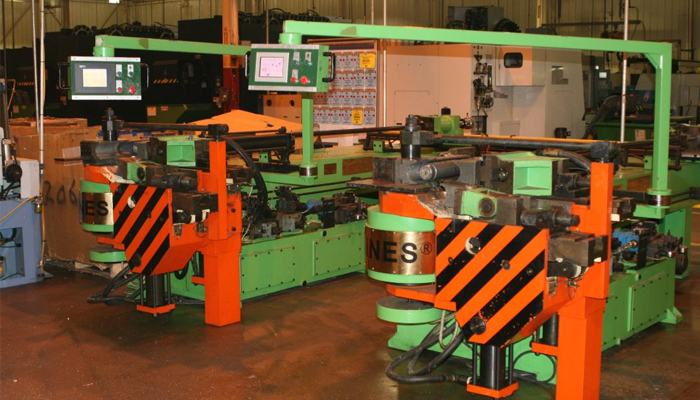 Eventually, the overall demand for pipe and tube bends started seeing an impressive increase as the popularity of automatic CNC bending machines took off. 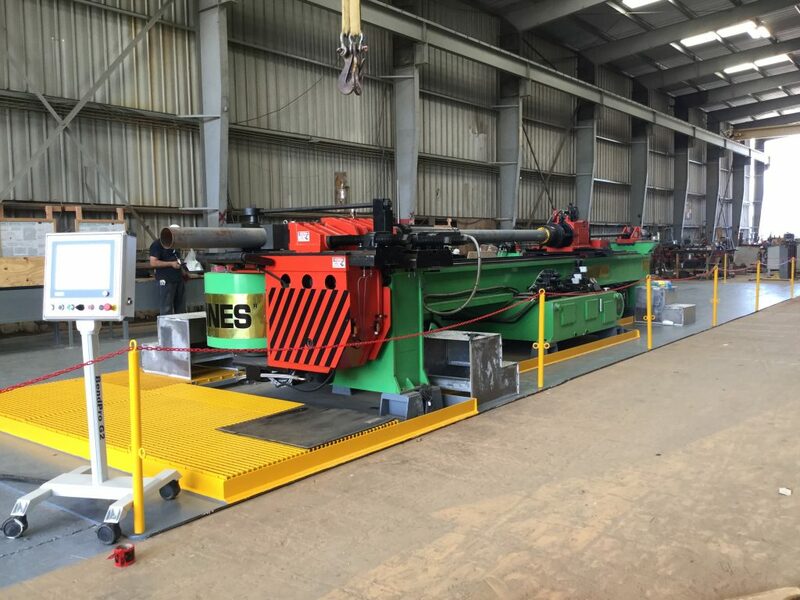 As word spread, it became apparent that the investing in a pipe or tube bending machine for sale presented many advantages. Not only could shops and facilities finally take full control of their production capacity, but they could also produce higher-quality pipe and tube bends with ease. Joining metal tubes together has been a necessary component of production since long before the industrial age. Melting materials and then welding them together to create a seam seems logical until you consider the constant presence of imperfections. In other words, it takes a sufficient amount of time for a perfect weld to exist, limiting production and increasing costs. 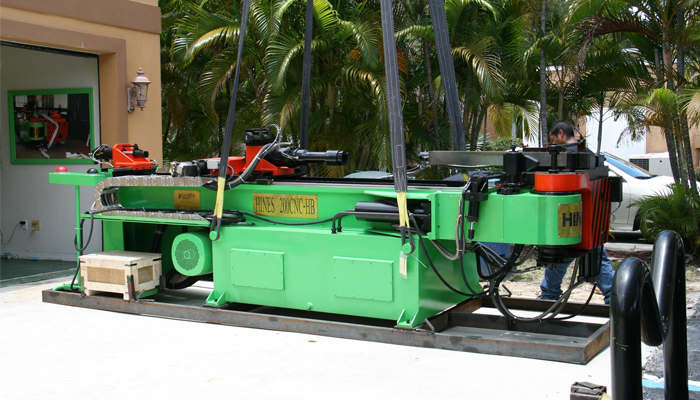 By contrast, purchasing a tube bending machine for sale rids the unnecessary extra steps and weaknesses that welding presents. 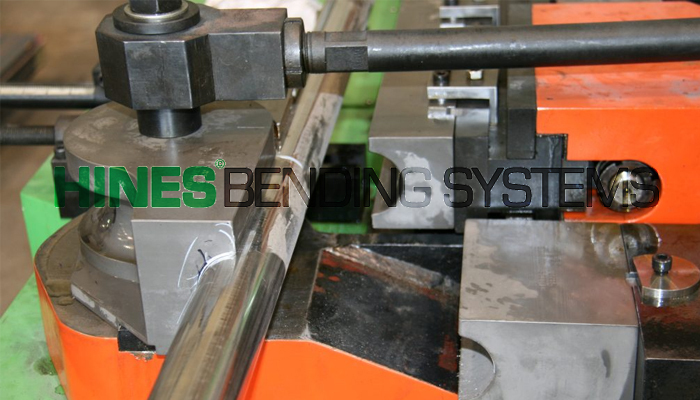 Tube bending does not require the metal tubing to be heated, a process which is known weaken the material, making it more likely to break. 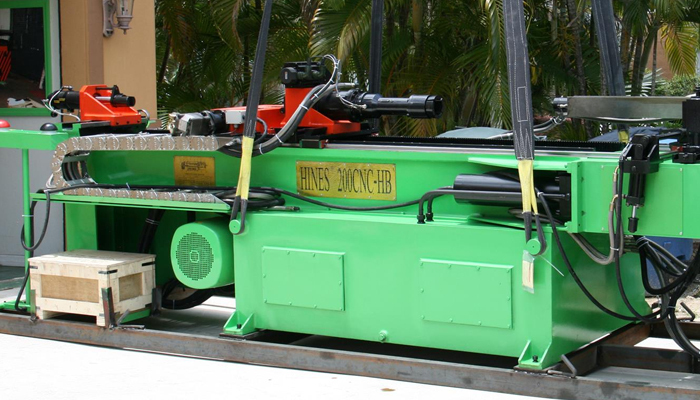 There are, however, many options available for pipe and tube benders. 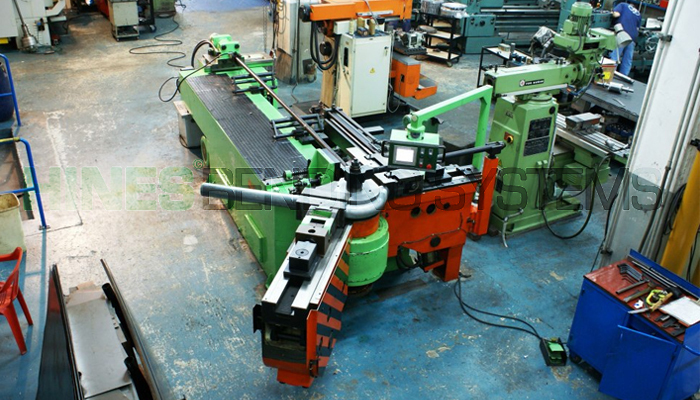 So how do you know how to find the best pipe or tube bending machine for sale? There are certain factors that help to refine your search, such as determining the diameter, radius, and wall range suitable to your production needs. 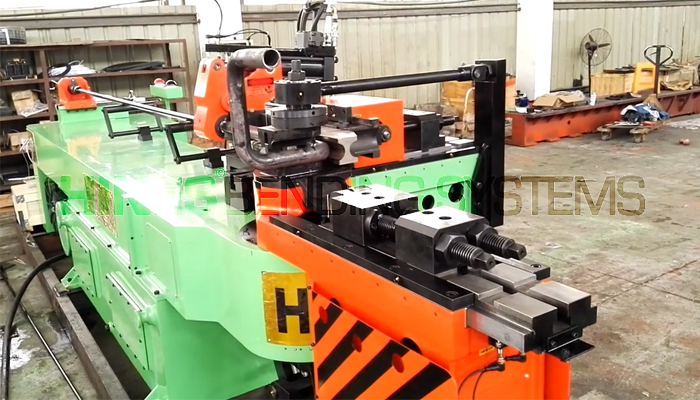 However, the best recommendation is to speak with bending machine manufacturers about your requirements. Of course, you can always contact us and our team will gladly assist you in finding the best option. 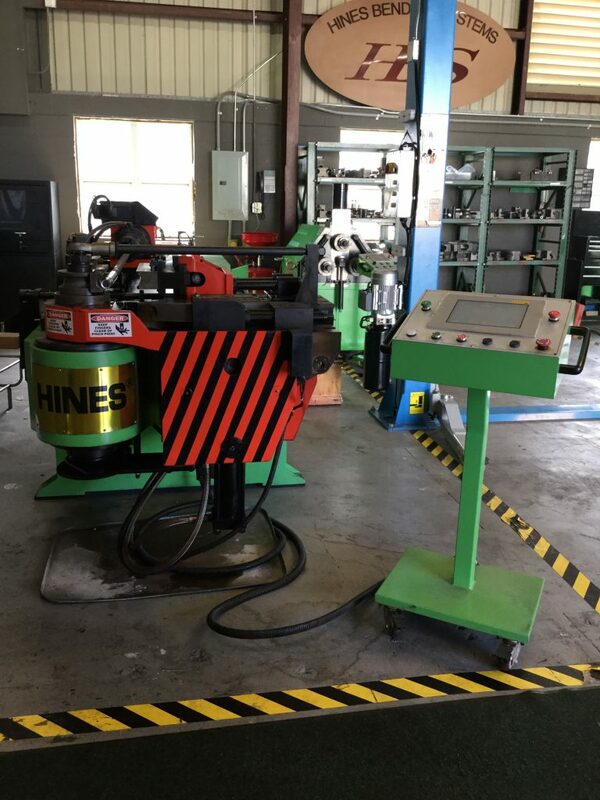 Hines Bending Systems are among the world’s leading bending machine manufacturers and take pride in helping our clients find the perfect bending solution. Contact us online or call 239-433-2123 to speak with a representative.